Celebrate Local, Celebrate Perry County! Holy Trinity, Nellie is a Somerset Girl! What do the Clay Haus and Nellie Sheridan Have in Common? Whoa Nellie, Calling all Suffragettes! When you attend the Perry County Fair this week, please stop by the Perry County Historical and Cultural Arts Antique Building! The PCHCAS will have many interesting items on display and for sale. In addition, Nellie Sheridan will be making her debut at the fair after sixty plus years! The Nellie Sheridan Statue Committee will be on hand to offer some of Nellie’s favorite things for sale : a beautiful postage stamp dispenser/paper clip holder, pen and pencil holder, and Nellie’s own official logo tea trivet/pan trivet. Of course, all of the items feature Nellie’s own feminine silhouette and official logo. These items are hand crafted by local artist, Dale Hague, and are made with Perry County clay! You can literally take a piece of Perry County home with you 🙂 They make excellent gift items. Gwen Young will also be on hand to sell and sign her book, Nellie Sheridan: A Woman Ahead of Her Time. Purchase a signed copy and give one as a gift. They are a treat for anyone who loves Perry County History. Although Nellie was Postmistress of Somerset and the self-proclaimed niece of P.H. Sheridan, she was indeed a popular Perry County citizen and was well-known by everyone! She was wonderful, quirky, and definitely had a mind of her own! 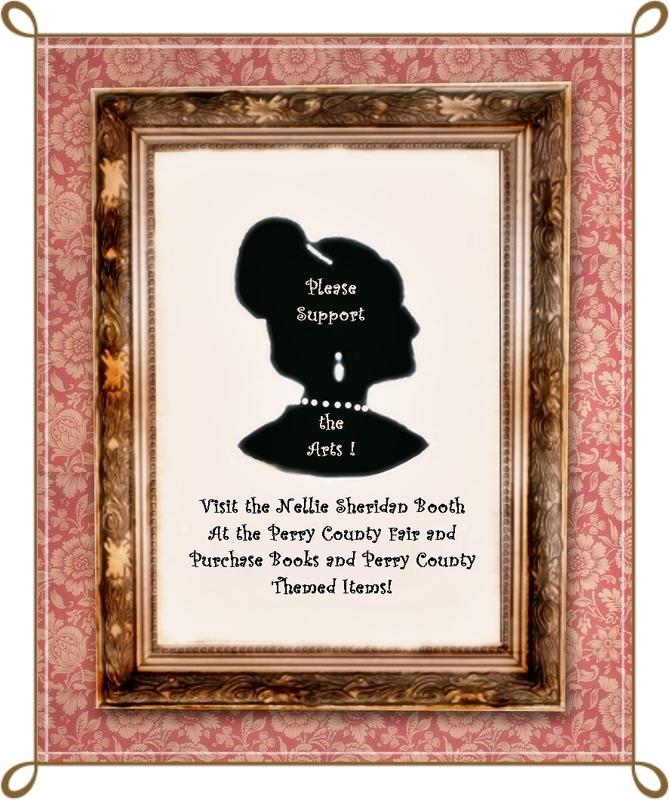 All proceeds from the Nellie Sheridan booth will benefit the Nellie Sheridan Statue Fund. It is your chance to not only read history and take home a piece of Perry County, but it is your chance to help make history! Please donate to this worthy cause. How often do you really get to make a difference on a local level? Always enjoy seeing people keep local history alive. Thank you..our history is our heritage!